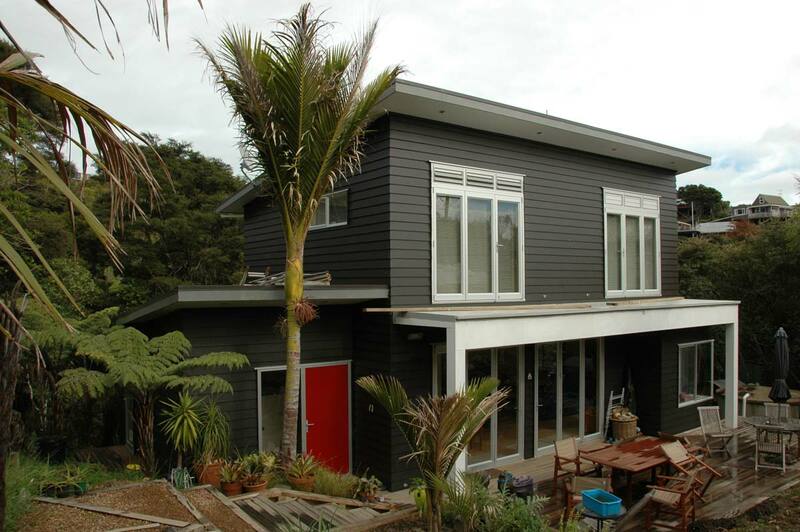 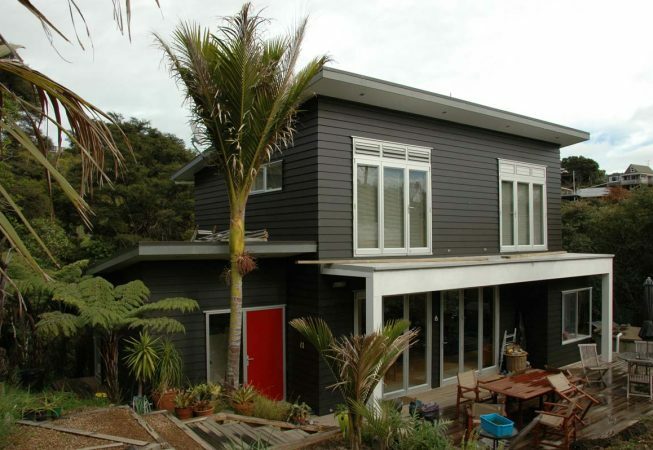 Set into native bush this 3 bedroom home with a separate garage was designed as a two storey elevated building to collect the sun and to make use of the most level part of a steep site covered by native trees. 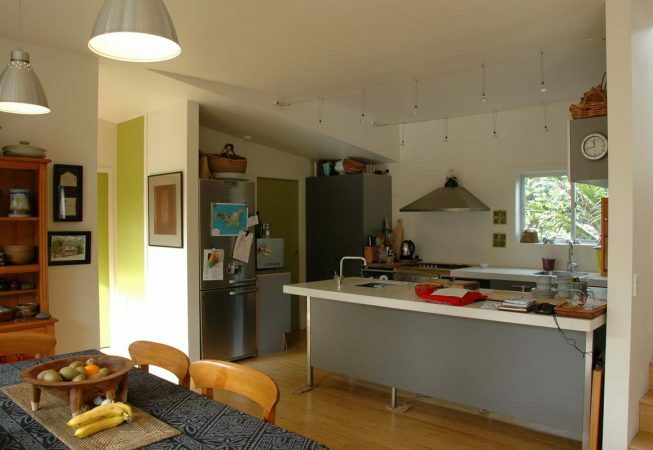 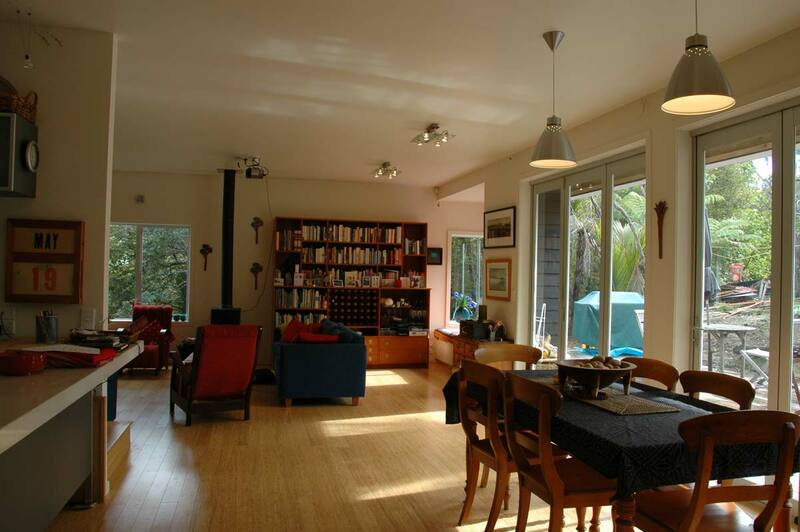 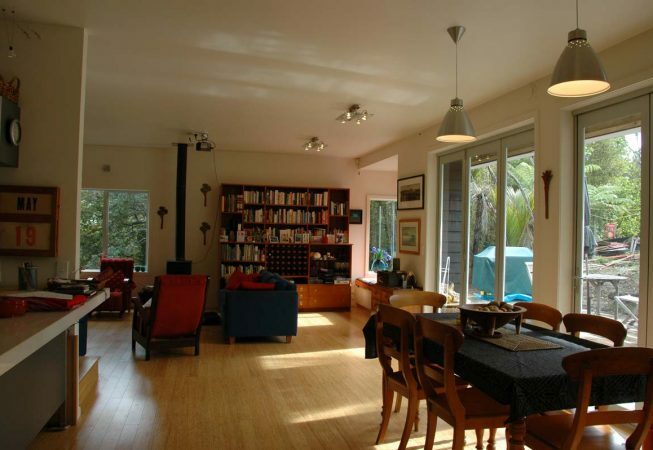 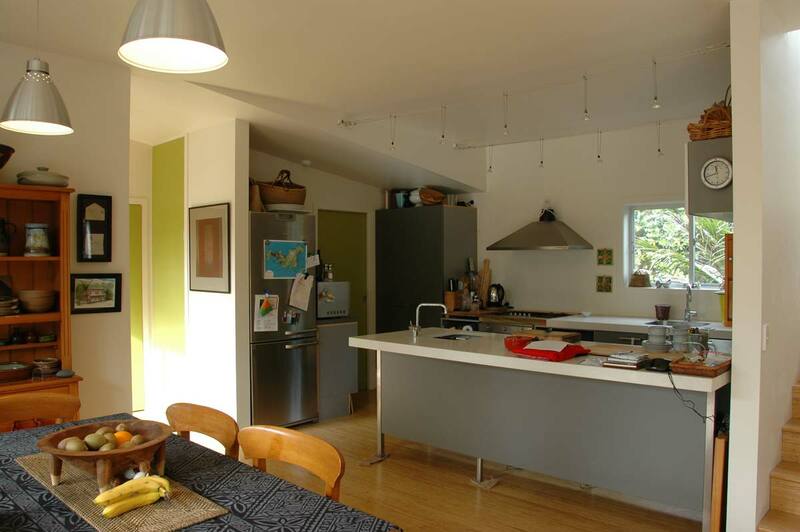 The open plan living kitchen dining area opens up to a patio area, where native Nikau palms have been retained. 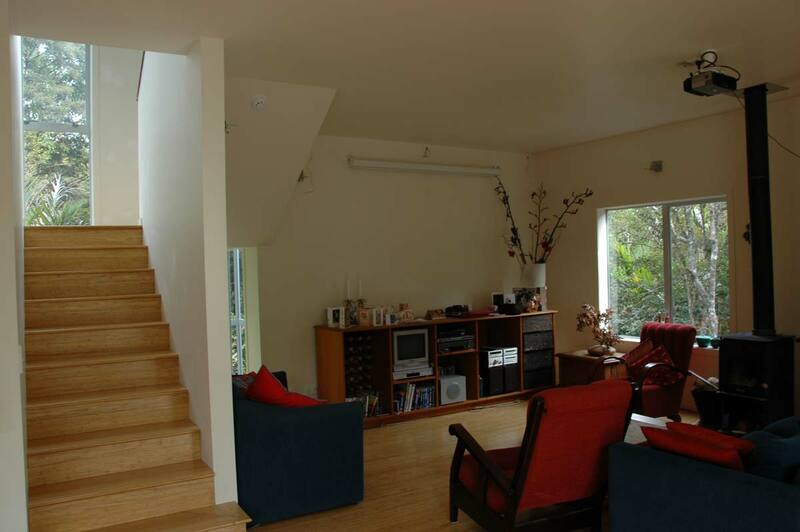 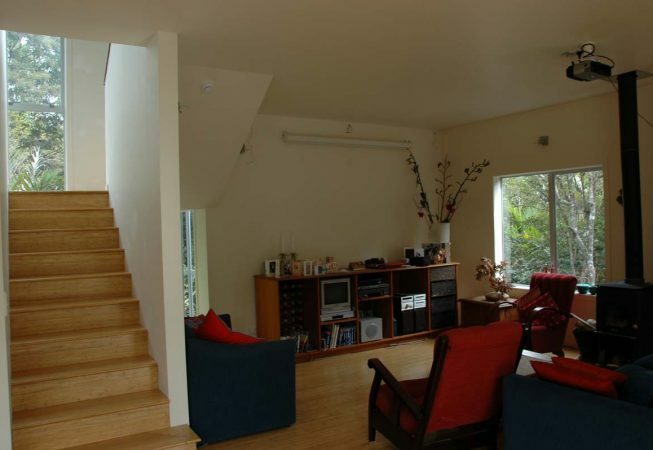 The three bedrooms and a bathroom occupy the upper floor.